The company that was to become Marathon Watch was founded in 1904 as Weinsturm Watch, later to be named Wein Brothers. In 1939 Morris Wein founded Marathon Watch in Montreal, supplying fine precision timepieces to retailers throughout North America. In 1941 Marathon began manufacturing timing instruments for the Allied Forces. Marathon’s tradition continues today with its fourth generation manufacturing fine quality innovative instruments measuring time, temperature and distance. Marathon’s manufacturing facilities include Switzerland, Canada, and the USA. 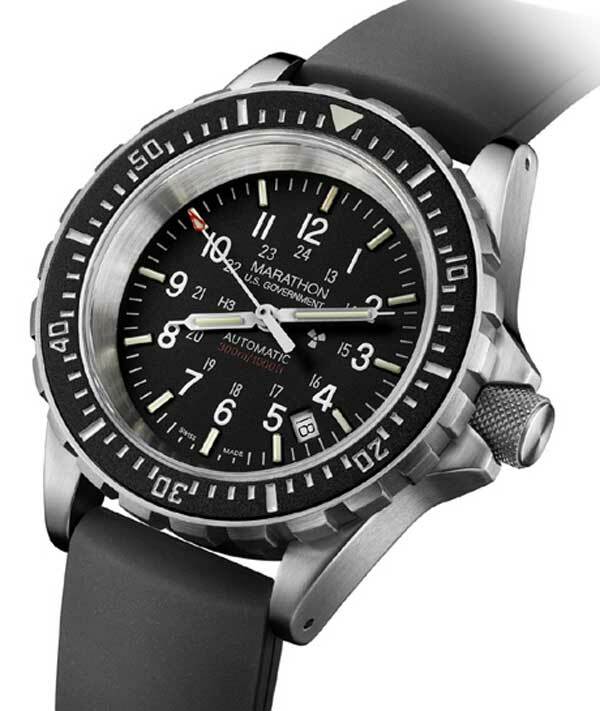 Amongst its products, Marathon offers the SAR, an automatic watch featuring Tritium vials and the automatic ETA 2824-2.